This weeks grab comes from a British X-Men Pocket Book reprint. A bit bigger than half sized, stories are printed two to a book in black and white. 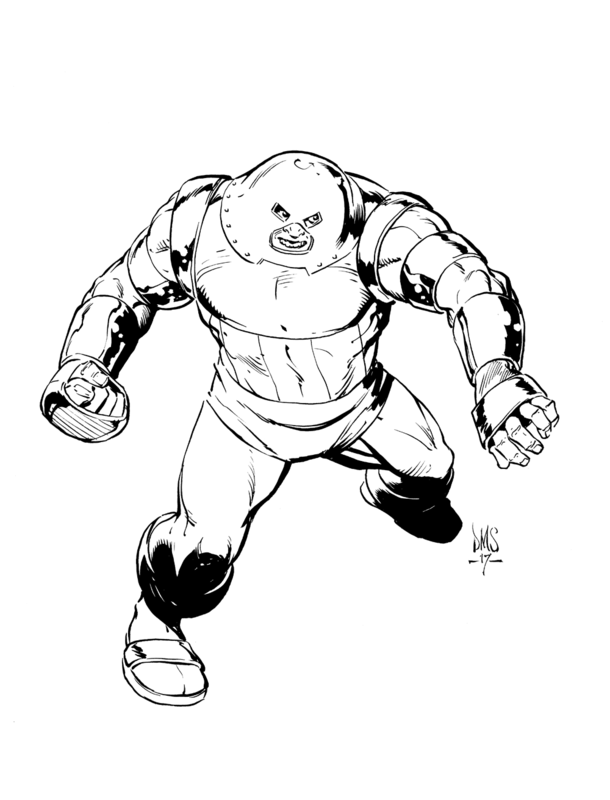 The front story has our old buddy, the Juggernaut, on the rampage because, well, he's the Juggernaut, that's what he does. The one thing that sticks out is, that if I didn't know better (and I don't!) I'd swear that's a Gil Kane monster in the middle of a Werner Roth drawn tale. The face, the turn of the leg, foot placement, line shading not otherwise seen in Roth's run... what do I know?